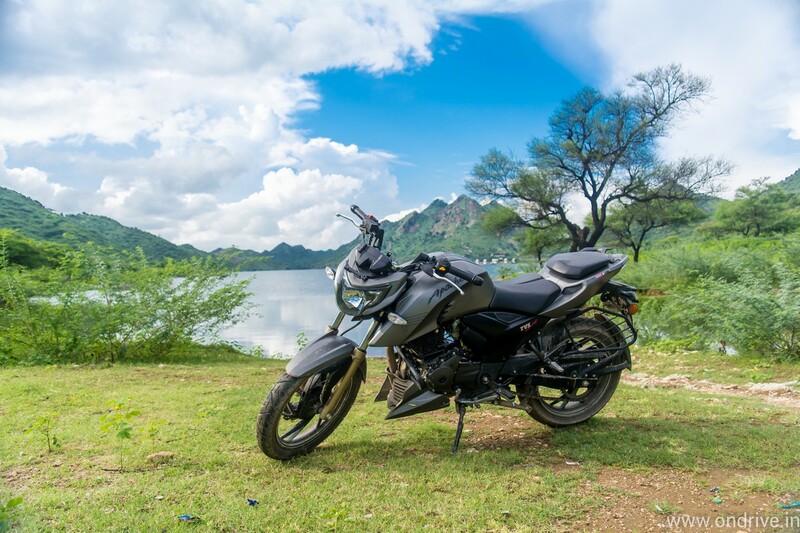 The TVS Apache RTR 200 4V design is completely different than the previous RTR. 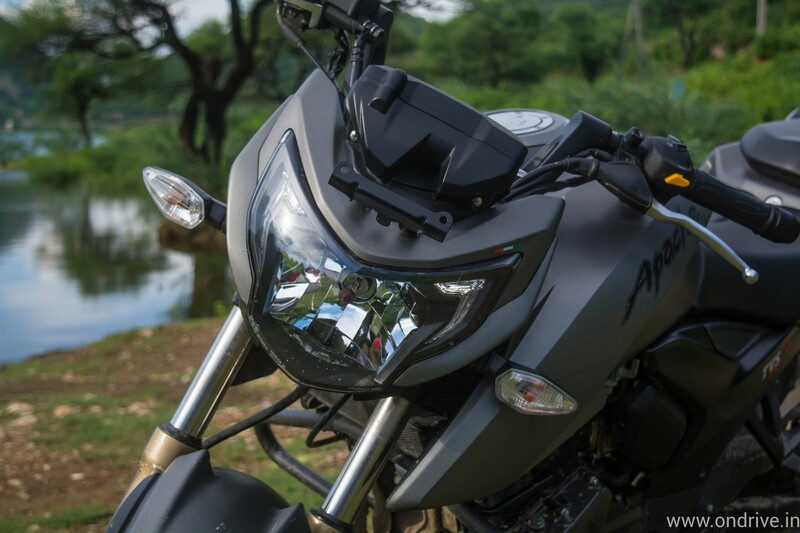 The new bike is more muscular in shape and carrying the naked designed shape which is coupled with new small headlamp with day time LED lights. 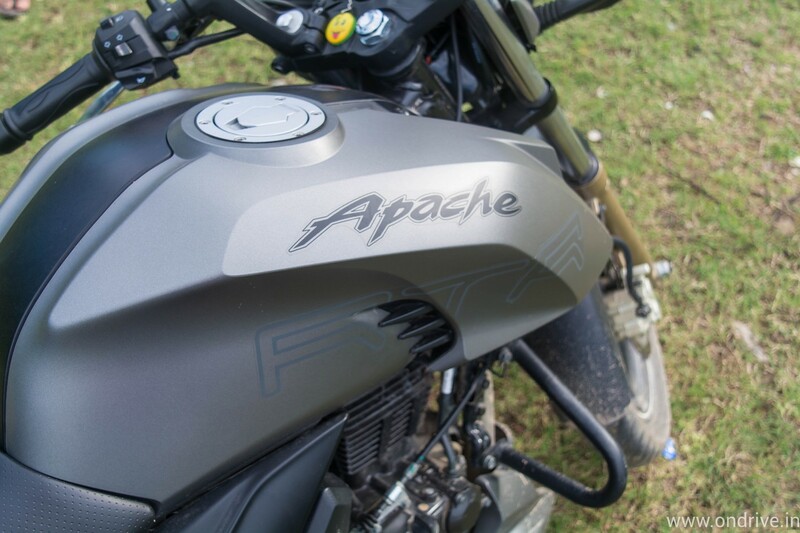 You can clearly see the effect of TVS & BMW partnership on the design of Apache RTR 200 4V. Also, you can see the glimpse of Draken Concept bike design in RTR 200 4V. TVS improved the fuel tank of the bike, now it’s carrying more muscles with the aggressive cowl. The fuel tank can carry 12 liters of fuel. Small Storage compartment under Pillion seat. They split the seating and the back seat has redesigned to make it removable. Under the back seat, you’ll find storage space where you can store your tools, cleaning clothes and other small items. The bike new alloy wheels, rear LED tail light, and split grab handle looks neat and add the charm to the bike. The bike available in five Matte colors _ Black, Grey, White, Yellow, Red and Glossy Black. 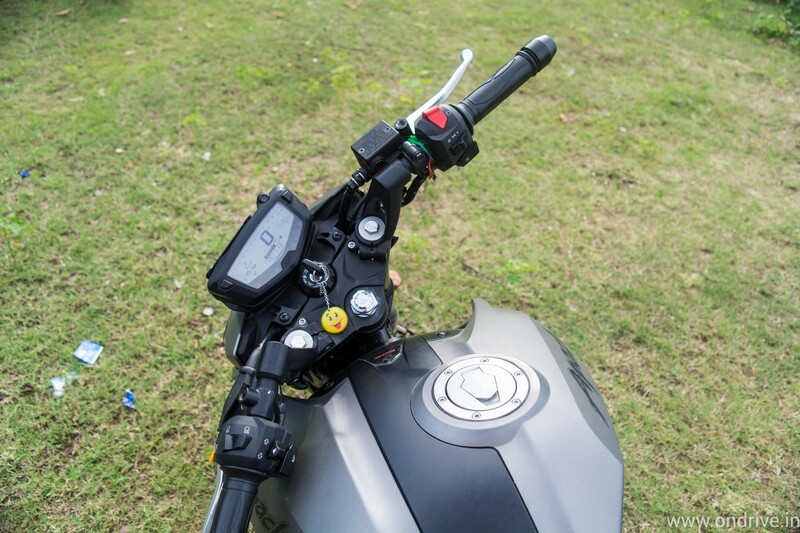 The best thing about the Apache RTR 200 4V gets all-new digital cluster which has a gear indicator, odometer, trip meter, lap time, highest top speed, timer mode, fuel gauge and today’s time. 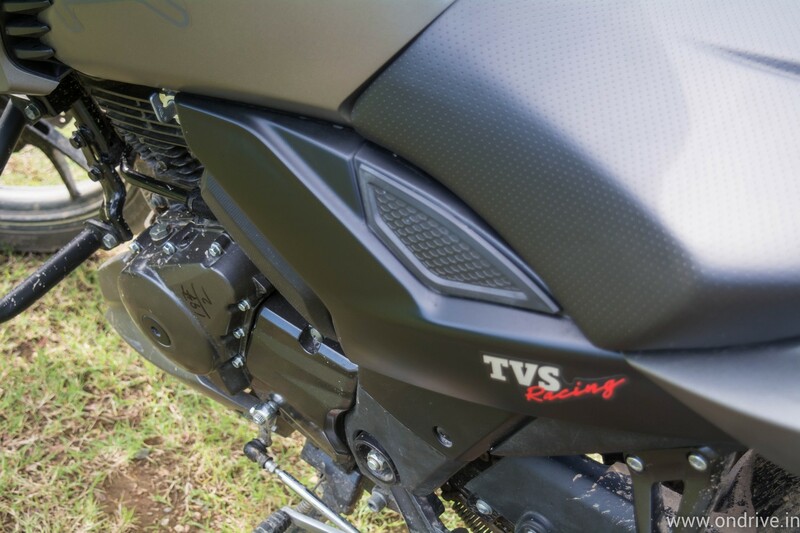 TVS built a new engine for the Apache RTR 200. The new 198 cc 4 stroke, the oil-cooled engine produces maximum power of 20.05 PS @ 8500 RPM and maximum torque of 18.1 Nm @ 7000 RPM. To keep the engine cool, TVS also added Oil-Cooled Combustion Chamber Technology with RAM Air-Assisted Cooling which reduces the Engine Heat Map by 10° C.
The Engine performance is very smooth overall in my testing. I took the bike for a ride in tight City conditions and on the clean road. You won’t face any problem to ride this bike in the city. Even the gear change is very neat. The Mono Tube Monoshock suspension on the rear and Telescopic forks suspension on front soak all the bump. To stop the bike at high performance, the bike has Disc Brake in at both wheels with Dual channel ABS with RLP control. The ABS will ensure you’ll never go out of the road by automatically applying brakes to both the wheels. This is a welcome move by TVS and other manufacturers should also start adding ABS to their bikes. The real power comes when entered into 5th gear and after that bike will start sprinting. 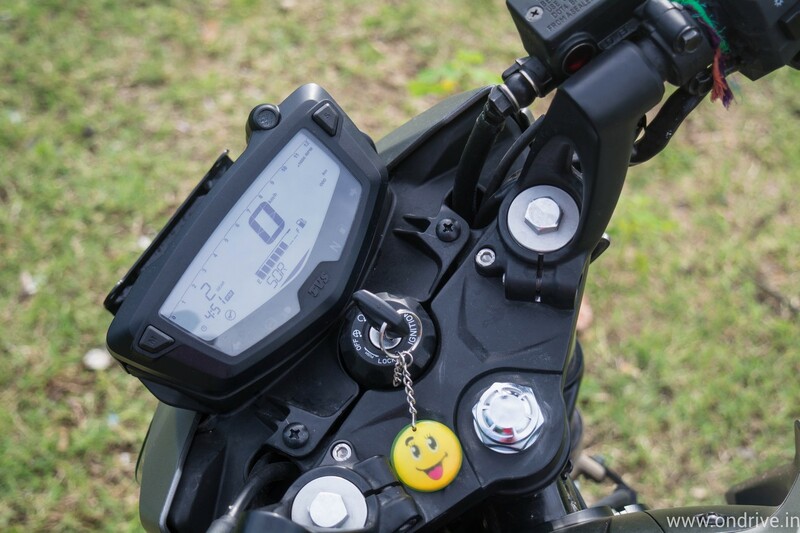 The engine output is really good at high speed and you like to be in there to enjoy the bike at fullest level. 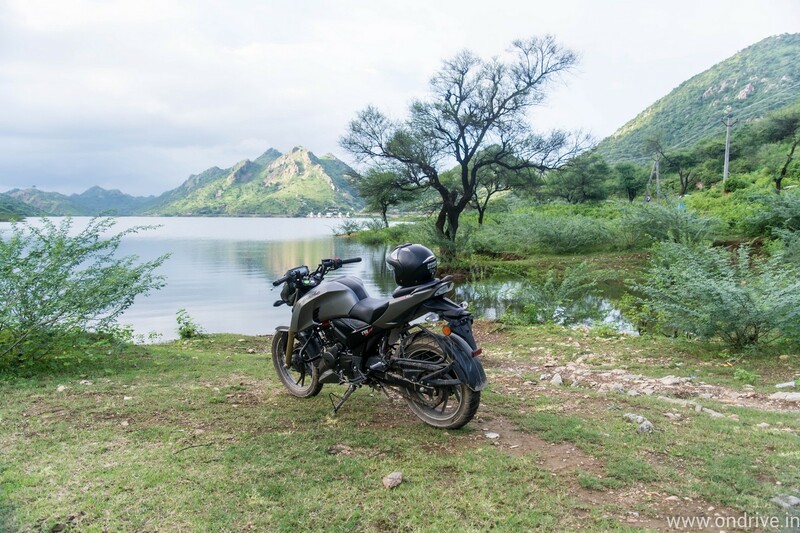 By default TVS Apache RTR 200 4V comes with Remora tyres but at the additional cost, you can get optional Pirelli tyres. Through you won’t feel any difference on the road so you could save money by going for the default one. 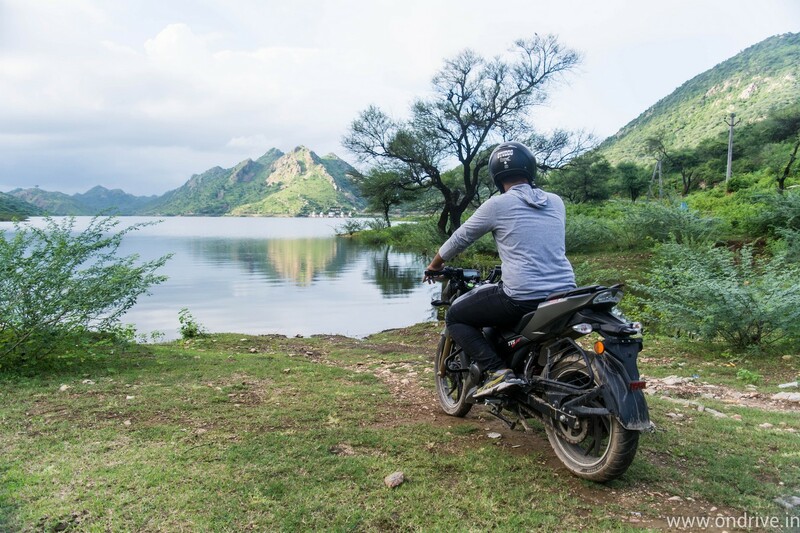 I can say Apache RTR 200 4V is the best product TVS ever made. The bike did a great job in pretty much every department and will surely give a run for money to KTM Duke 200. TVS Apache RTR 200 is not the most powerful bike but I can understand that they sacrifice the power for the Mileage. 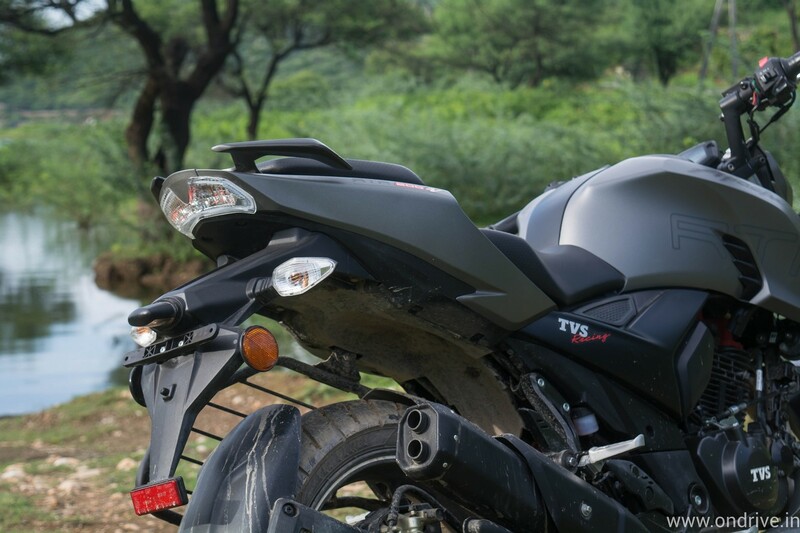 TVS Apache 200 RTR 4V gives a mileage of 36 kmpl in the city condition. From the design to performance, TVS made an effort in every department. The overall looks aggressive and will surely catch the light in public. They also built the new engine which is very smooth in the city and also included dual disc braking system & ABS for enhanced safety. Also, the engine is oil-cooled, so you can take this bike for the long journey without any issue. If you’ve 1 Lakh rupee and want sports bike then I’ll recommend the TVS Apache RTR 200 4V. 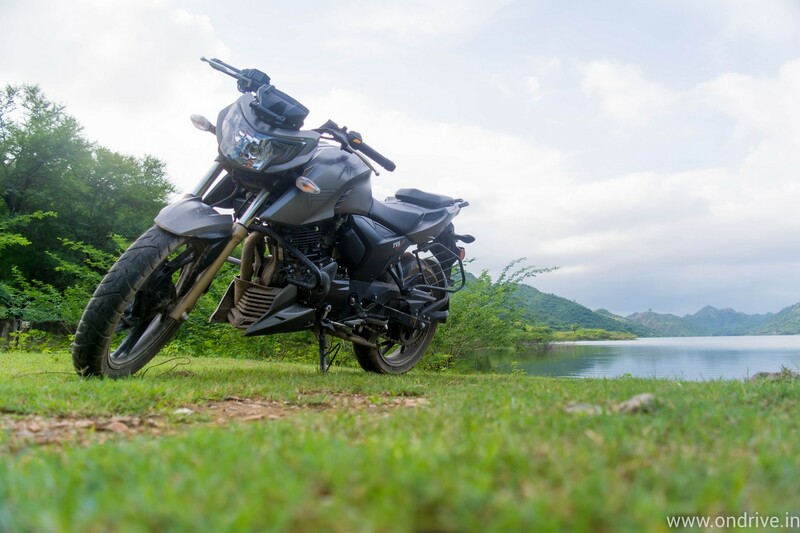 And if you’re a fan of Cruiser bike then go check out the New Bajaj Avenger 220 Street Review.